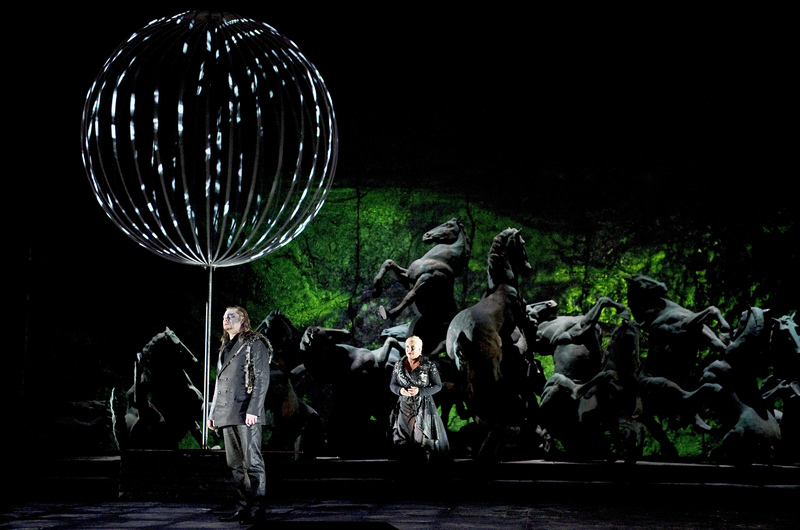 The first two operas of this cycle experienced slight problems: orchestra lights failed a couple of times during Rheingold, and stage backdrop lighting flashed and failed in Walküre. 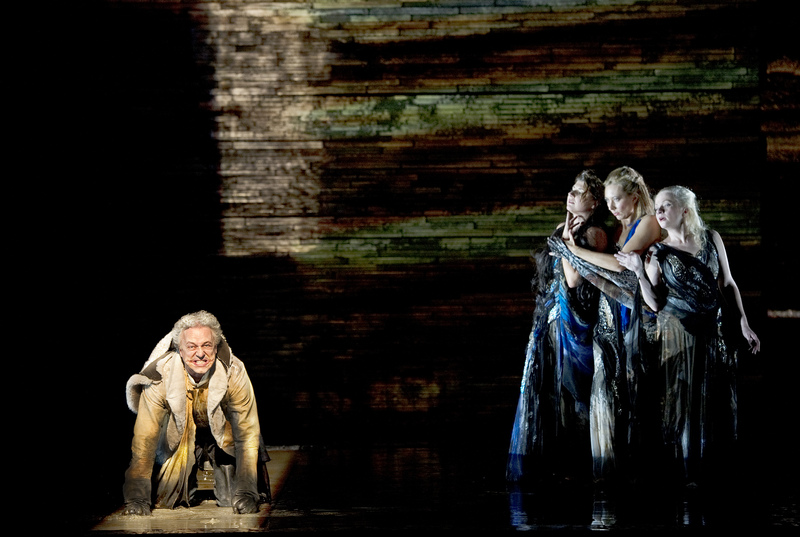 But Siegfried saw a more serious disruption when the eponymous hero failed to show up for Act I. Why, we were not told, but the role was admirably sung from the wings by Andreas Schager, with an assistant stage manager going through the motions on stage. So vocally effective was Schager that Daniel Barenboim brought him on for a special curtain call at the end of the act, and the audience roared their appreciation. Canadian tenor Lance Ryan thankfully turned up for Act II, which was just as well since Schager was singing in a concert performance of Zauberflöte with the Berlin Philharmonic under Rattle later the same evening. At the end of Act II, Ryan declined a solo curtain call, and at the end of the opera, after a superb performance in Act III, the restrained applause marked audience disapproval for his early absence. But he was exceptionally good, and I regret not hearing him in all three acts. 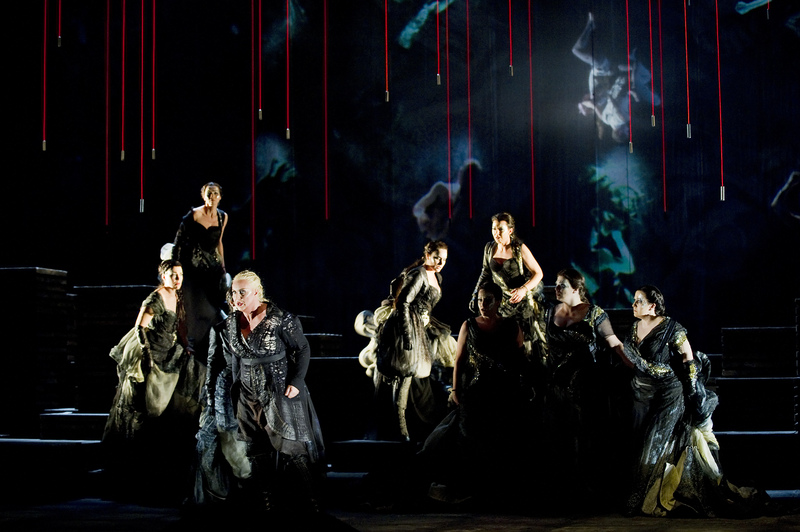 His final scene with Iréne Theorin as Brünnhilde produced glorious singing, and his Sei mein! followed by her beautifully gentle Oh Siegfried! Dein war ich von je! was a moving moment. Of course Daniel Barenboim in the orchestra pit was the magician bringing Wagner’s great moments to fulfilment, and this third episode of the Ring was a musical triumph. 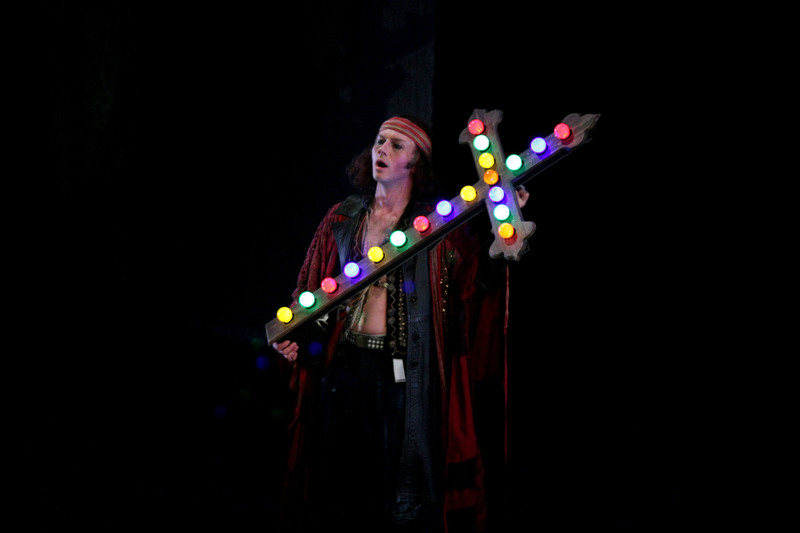 Peter Bronder sang and acted strongly as the ill-favoured Mime, and Norwegian bass-baritone Terje Stensvold gave a commanding performance as The Wanderer. Mikhail Petrenko sang a strong Fafner from behind the stage, but here we find one of the problems in this Guy Cassiers production. The dragon was portrayed by five dancers wafting a vast printed silk sheet, but since the voice came from elsewhere this lacked conviction, and after the dragon’s death they attached themselves to Siegfried, making interminably dull geometric patterns with five swords. The dismemberment of voice and body had already occurred to the Woodbird, with a double performing insipid and unmusical movements on stage while the singing Woodbird (Rinnat Moriah, a perfectly handsome young woman) was off-stage. Good lighting and sets, except that the forging of the sword was essentially done by atmospheric lighting and seven flat screen videos, plus a few tap-taps in the upstairs part of the set, as if a saucepan were being mended. Otherwise I liked the intriguing design for Mime’s home, which Wotan navigated with admirable aplomb as it turned from horizontal to vertical. 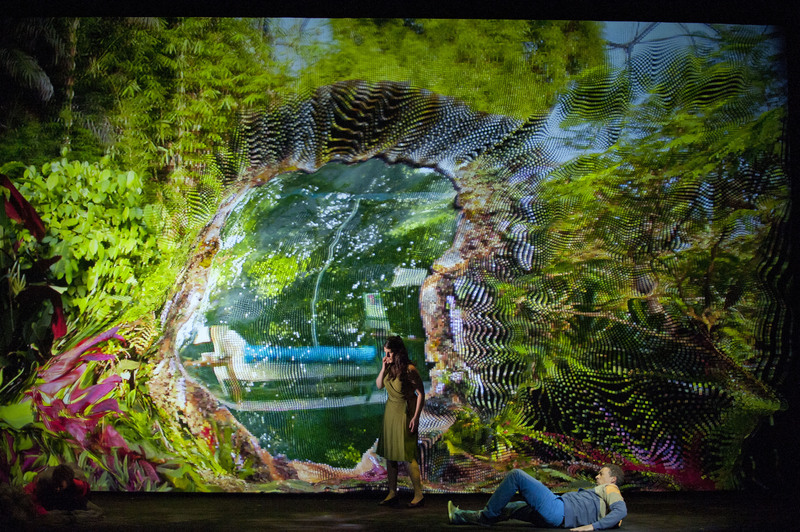 Forest lighting was wonderful, and the meeting of Alberich and the Wanderer in Act II was very effective. 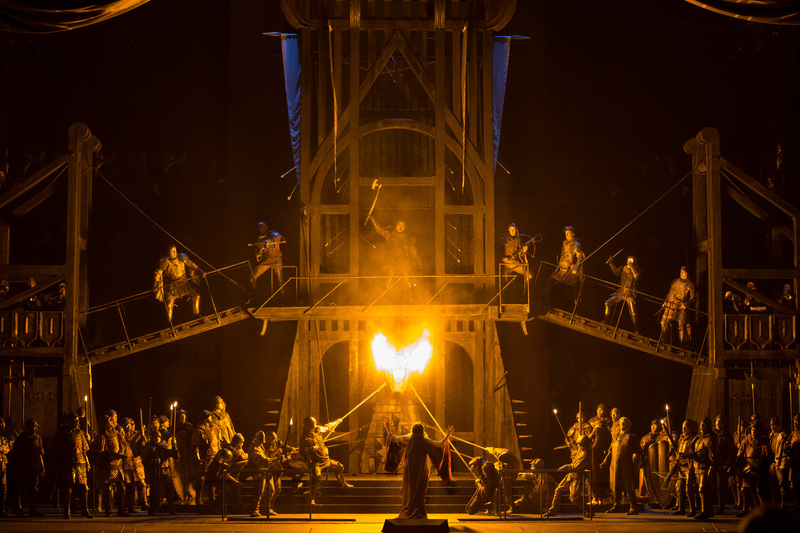 If the superfluously irritating dancers had been absent, this act would have been perfect — they were not there in Walküre, and I’m sure most of us hope for the same with Götterdämmerung. 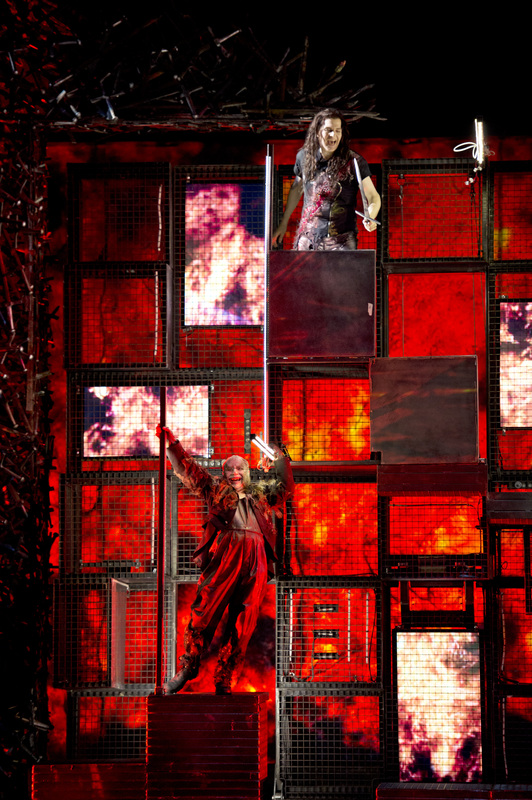 This performance was on April 7, and the final instalment of The Ring takes place on April 10. 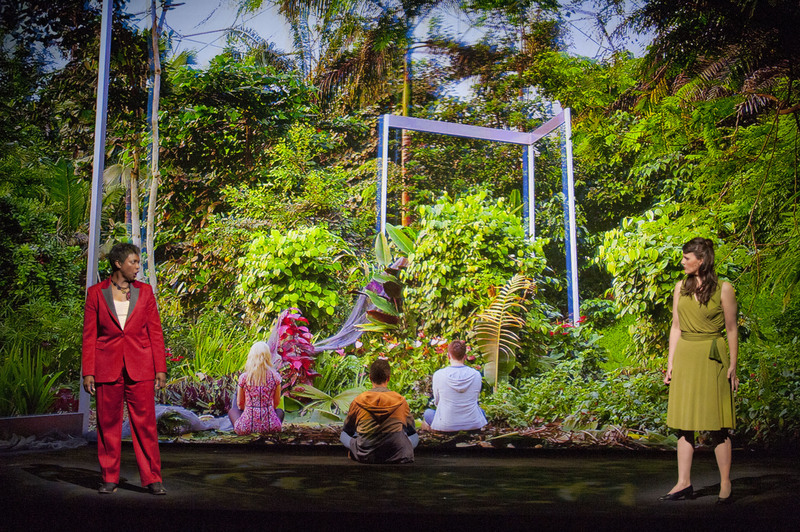 After UCOpera’s production of a Rameau work last year, which suffered from over-ambitious direction that didn’t gel, I was unsure what this year’s I Lombardi would be like. I need not have worried — it was terrific. Suits of armour and chain mail are expensive, so director Jamie Hayes has updated it to warring gangs from the 1960s, with guns and the occasional knife. I Lombardi meets West Side Story, but it really works, and Charles Peebles produced wonderful playing from the orchestra. Early Verdi is so full of energy, and UCL have made a perfect choice for his bicentenary year. 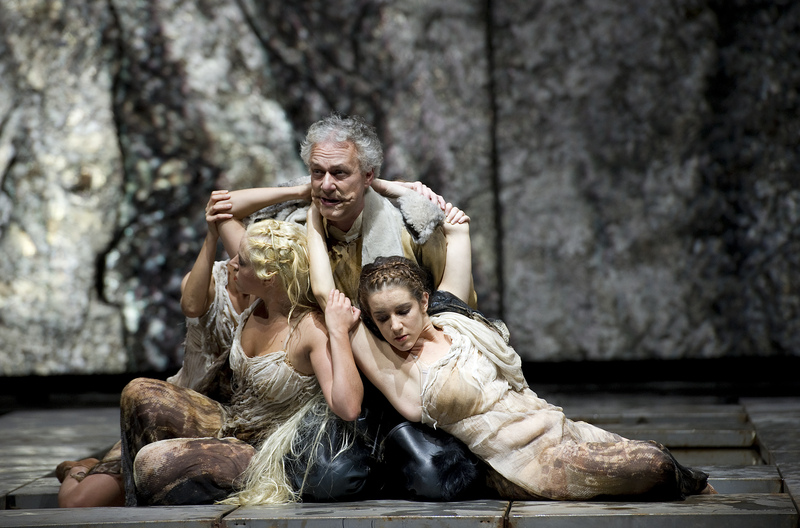 This is the opera that followed Nabucco, which starts a new run at the Royal Opera House on Easter Saturday, so here is an excellent chance to see the next collaboration between Verdi and his early librettist Temistocle Solera. As an enthusiast for Italian unification and the Risorgimento, the story of Lombards fighting Islamic warriors formed an attractive background that would have resonated with Verdi’s audience, but the First Crusade no longer inspires us, so I applaud the change of location in time and space. The chorus members were entirely comfortable with their roles and sang with conviction, and the three pole dancers, particularly the middle one, were great fun. UCOpera uses UCL students, complemented by a sprinkling of professionals and they were lucky to have Katherine Blumenthal in the main role of Giselda. She suffered the misfortune of serious transport disruptions, but hurtled down the motorway in a car, arriving with five minutes to spare though you wouldn’t have known it. Already in Act I her voice showed a fine characterisation of her feelings, and as the opera revolves around her it was a huge pleasure to see such a wonderful vocal portrayal of the role. Giselda is a source of affection and concern to four men: her father Arvino, his brother Pagano, crime boss Acciano and syndicate member Oronte, who is in love with her. Among the students, Joseph Dodd sang well as Acciano, and Edward Cottell sang an excellent bass as Arvino’s right hand man Pirro. 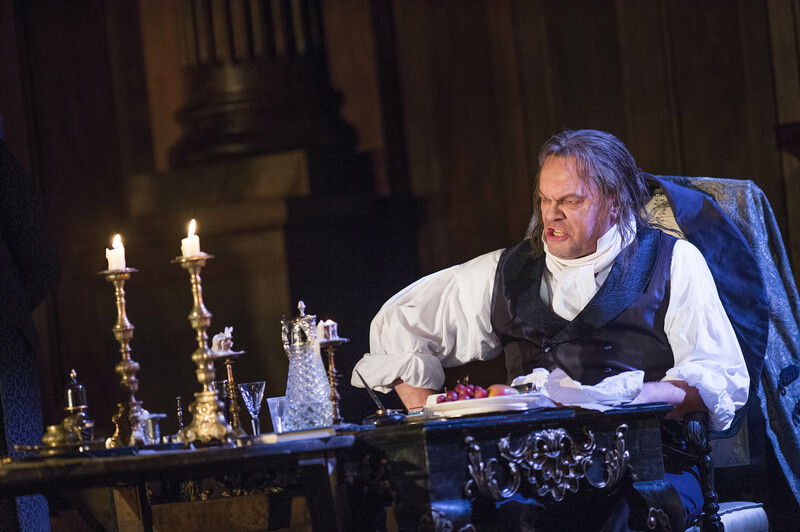 Among the professionals, Adam Smith sang strongly as Oronte, Jeff Stewart gave a lyrical rendering of Arvino’s role, and John MacKenzie was super as Pagano. His compelling stage presence was perfect for this criminal turned hermit who eventually achieves redemption. Good set designs by Will Bowen and the clever lighting by Matthew Eagland managed to convey both fire and rain at the right moments, as well as changes of mood and location. If the production was a little tongue in cheek at times that only made it more fun, and director Jamie Hayes showed a fine sense of humour. Charles Peebles’ conducting was exemplary and the orchestra did him proud, particularly the wonderful violin solo for the party scene in Act III. 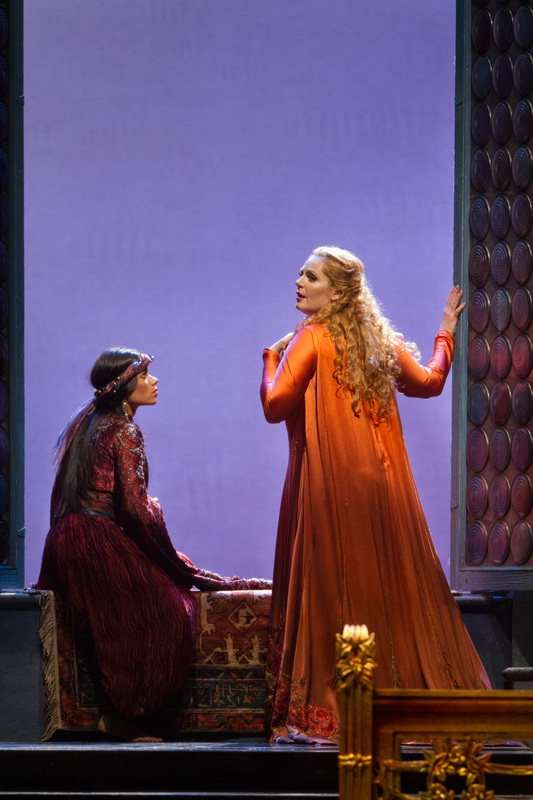 Don’t miss this glorious but rarely-performed early Verdi. There are three further performances on March 20, 22, 23 — for details click here. Wagner was 20 when he wrote this opera, and it was never performed in his lifetime. 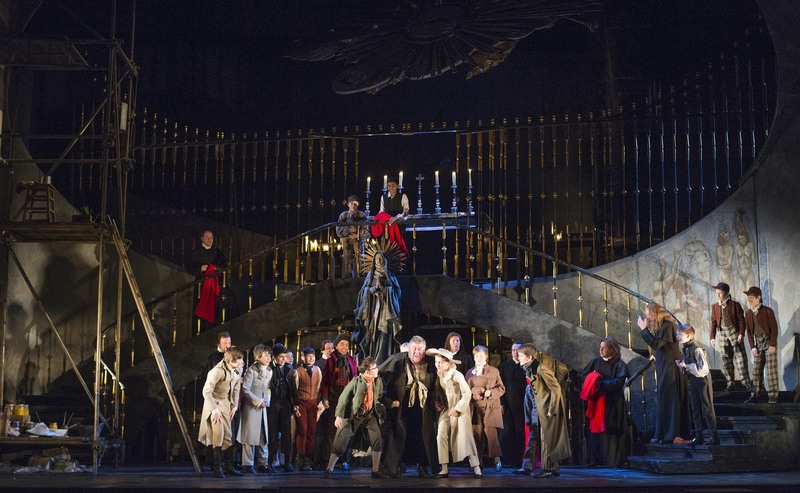 Seeing it in Fulham forty years ago I was amazed at its sophistication, and delighted with the Chelsea Opera Group’s concert performance last night. 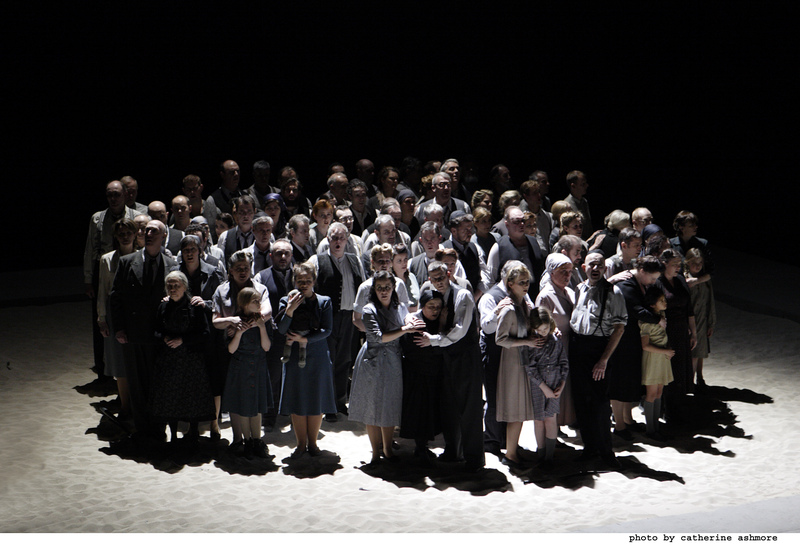 The two main characters, Arindal and Ada have the same names as in Wagner’s first but uncompleted opera Die Hochzeit (The Wedding), yet the situation is quite different. The political union in that opera is replaced here by a love that is politically almost impossible since Arindal is a mortal prince, and Ada an immortal from the fairy world. She decides to give up her immortality, though knowing this is fraught with difficulty since the spirit world will strike at Arindal giving him ample reason to curse her. He does, and all seems lost. Yet true love triumphs, and the resulting redemption prefigures the world of Wagner’s later operas, with precognitive echoes of Tannhäuser in the music. Conducting by Dominic Wheeler produced fine energetic playing from the orchestra, bringing this early Wagner very much to life. 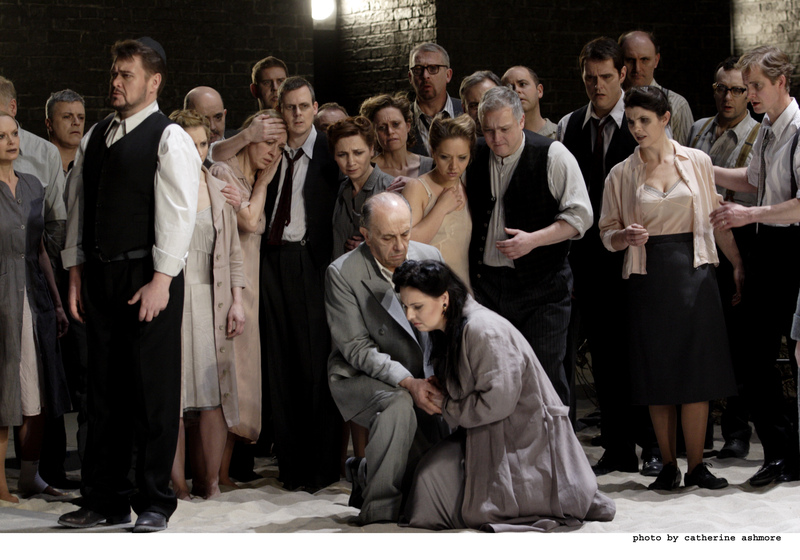 At one point in Act I he stopped the music to bring the soloists back into phase with the orchestra, but after that it all began to gel, with Danish tenor David Danholt singing strongly in the role of Arindal and New Zealand soprano Kirstin Sharpin singing beautifully as Ada. 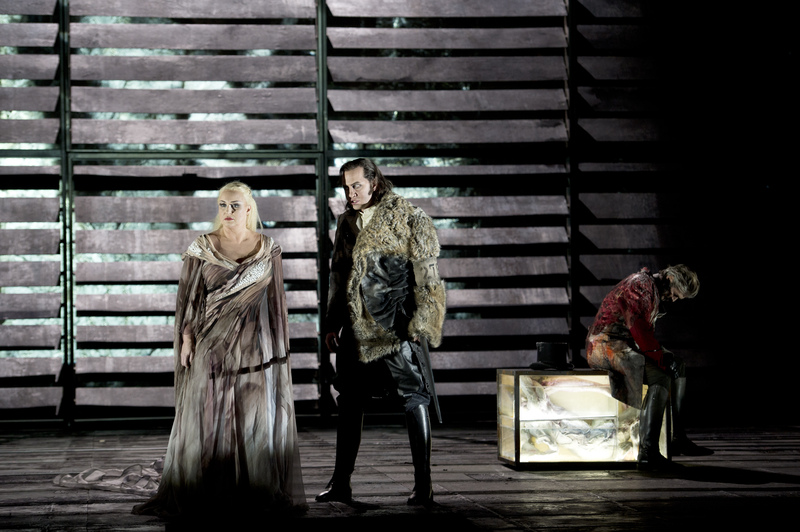 At the start of Act II the chorus laments the attacks of the enemy, but Elisabeth Meister as Arindal’s sister Lora chimed in strongly, and her solo expressing the brave hope of seeing her brother again drew spontaneous applause. This suddenly moved the performance to a higher level, and Ada’s big aria Weh’ mir … (Alas, the fearful hour draws nigh) confirmed it. Excellent singing from the three male courtiers, Andrew Slater (bass), Andrew Rees (tenor) and particularly Mark Stone (baritone). Ben McAteer showed strong diction in the minor baritone role of Harald, Emma Carrington sang a lovely mezzo as one of Ada’s two fairy attendants, and Piotr Lempa was a wonderful bass in Act III as the voice of the magician Groma, and as the Fairy King who eventually bestows immortality on Arindal after he has released Ada from petrifaction. Wagner never again had such a simple happy ending in his redemptive dramas, and discounted this early effort. But what a treat it was to hear such an excellent performance, and congratulations to Chelsea Opera Group and conductor Dominic Wheeler for putting it on. Seeing this opera for the second time in less than three year convinced me that it fills a much-needed gap in the repertoire. Clearly the cuts in London made by Opera Holland Park in 2010 were well judged. But if you’re one of the singers or the conductor or a member of the orchestra it must be hugely enjoyable to perform. Zandonai’s rich orchestration provides powerful moments, but also some tiresomely melodramatic music for action of a lighter vein. Act I was full of this, with extended passages for Francesca’s ladies in waiting. 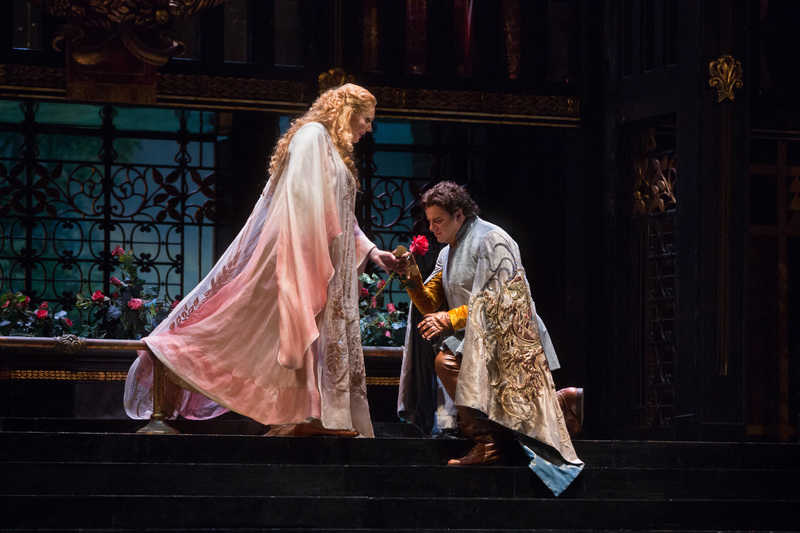 But full marks to the Met for reviving and screening Piero Faggioni’s beautifully artistic production from 1984 with its glorious costumes, nineteenth century impressionistic backdrop, and art nouveau concept of what the fourteenth century should look like. Ezio Frigerio’s sets, Franca Squarciapino’s costumes, Gil Wechsler’s lighting, and Donald Mahler’s elegantly subdued choreography all worked well, and cinema direction by Gary Halvorson was excellent. The star role is Francesca, sung here by Eva-Maria Westbroek who remarked in the intermission that this sort of story is still going on in the world today. She is quite right. A girl is married to a man she doesn’t love, while being in love with someone else. She arranges clandestine meetings with her lover, and the family kills the two of them. Francesca is in love with the fair Paolo, whom she once believed was to be her husband. In fact it’s his malformed brother, Gianciotto, and the insane jealousy of the third brother, Maletestino brings a denouément in which Gianciotto kills both his wife Francesca and his brother Paolo. 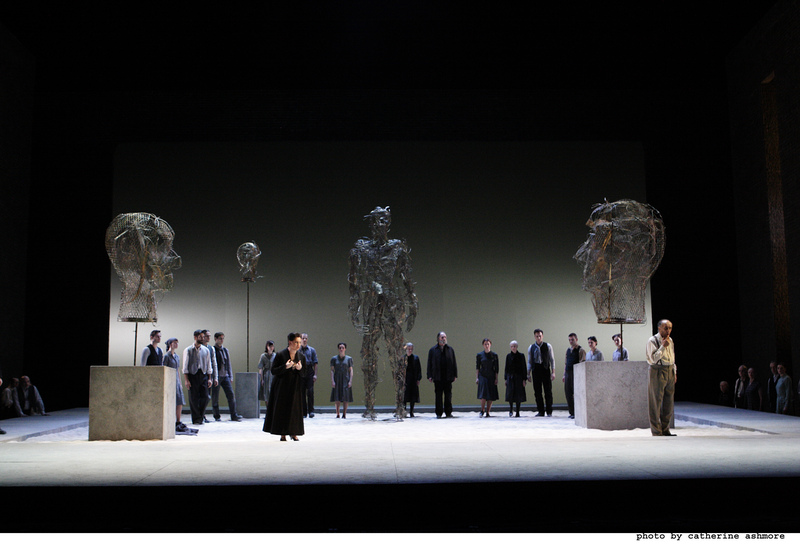 As Paolo, Marcello Giordani evidently relished the role from a poetic point of view, according to his intermission interview, but in Act I he sounded strained on the high notes, though he warmed up considerably in Act II. 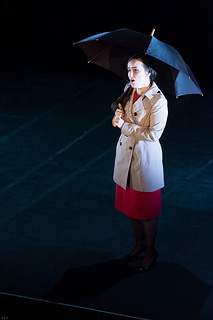 Eva-Maria Westbroek as Francesca sang and acted with dramatic power, but lacked a more nuanced portrayal that might suggest character development. 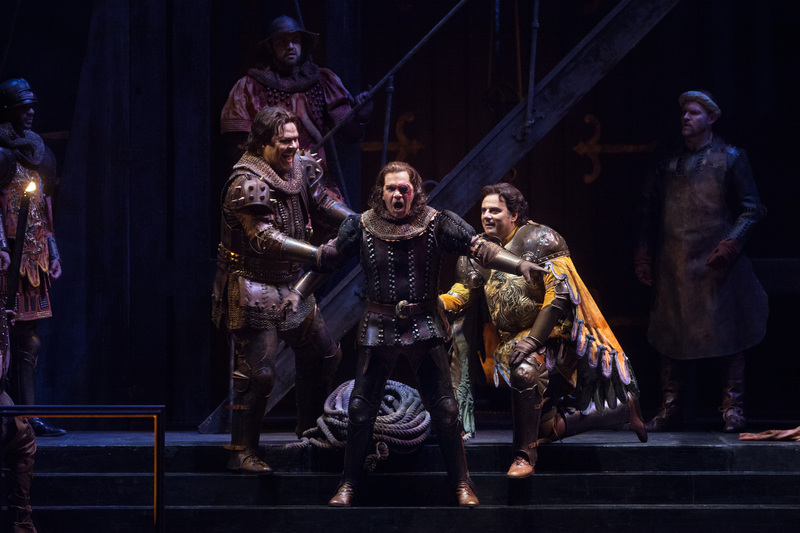 It was perhaps easier for Mark Delavan and Robert Brubaker as the more one-dimensional characters Gianciotto and Maletestino, and both sang with great conviction. Fine solo appearance in Act I by Philip Horst as Francesca’s scheming brother Ostasio, and Ginger Costa-Jackson sang a beautiful mezzo as Francesca’s confidante Smaragdi. 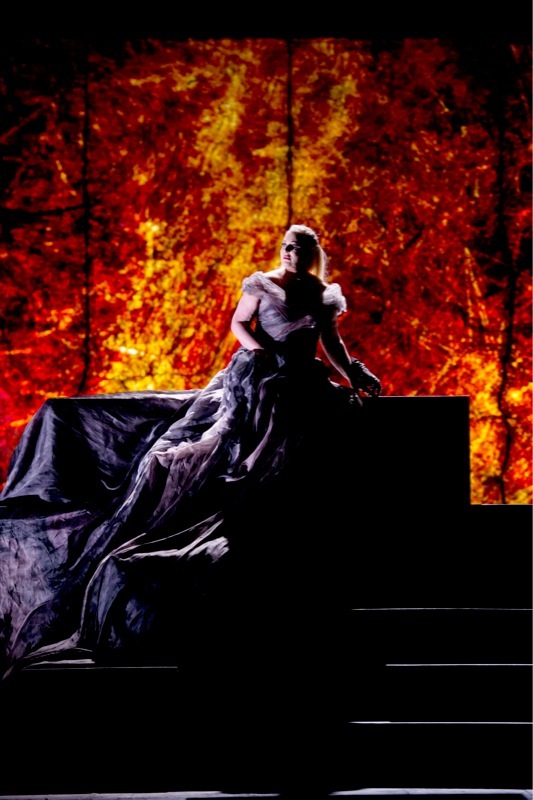 She sings of potions, and appears in Act III as a Brangaene-like character to Francesca’s Isolde, but this opera’s eclectic allusions to Tristan und Isolde, and Lancelot and Guinevere, along with the musical resonances with Strauss and Puccini, weaken it and obscure any creative focus. There were lovely moments however, such as the kiss at the end of Act III, where Francesca’s costume and body language mirrored the 1895 painting Flaming June by Frederic Leighton. Eva-Maria Westbroek sang a fine prayer in Act IV, and the sudden ending with two brothers left standing while Francesca and Paolo lie dead was a coup de theâtre. Plenty of tension from the orchestra under Marco Armiliato, and thank you to the Met for a production so fine that I shall never feel the need to see this opera again. In the intermission features, Sondra Radvanovsky told Marcello Giordani that he had performed 27 operas at the Met, and gushingly asked if this was his favorite. He answered diplomatically, unlike a singer in a previous opera who responded less charitably to one of her questions.